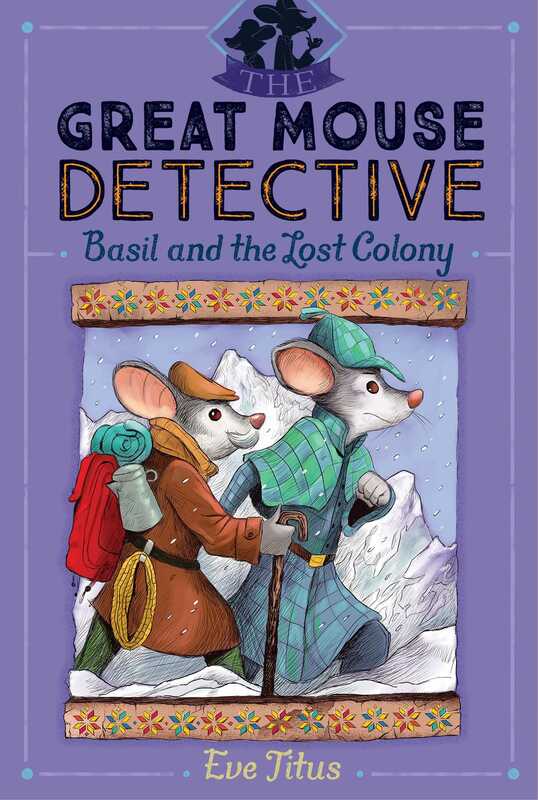 Named one of “13 Detective Book Series You Obsessed Over as a Kid” by Buzzfeed.com and the inspiration for a hit Disney film, the masterful Great Mouse Detective is back and scurrying off to solve the mystery of a Lost Colony in Switzerland. Basil of Baker Street—mouse detective genius—is off on a perilous expedition leading thirty-two mice up a towering mountain. Their objective: to locate and rescue a famous colony of mice that have been missing for six centuries! A clue in the form of an arrow with strange markings has sent Basil scurrying off to Switzerland in search of the lost colony. But the path is not smooth for our Sherlock Holmes of the Mouse World. Before he can solve this baffling mystery, he must confront the mysterious snow mouse and the sinister plots of evil Professor Ratigan, ruler of the mouse underworld!